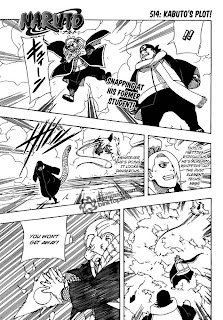 Naruto Manga Chapter 514 Kabuto's Plot has been released yet. Tsuchikage met with his former student "Deydara", altough he didn't know why is Deydara still alive. Before Tsuchikage relesased his ultimate jutsu, Akatsuchi stopped him and made him realized that the turtle island is right under them. Deydara see an opening and try to attack them with his bomb art jutsu, but akatsuchi golem protected them from the blow. Meanwhile on the island, Naruto realizing something's up happened outside but Captain Yamato and others try to hold him out by lied to him. When Kurotsuchi (Tsuchikage's grand-daugter) has been fighting with Kabuto, Yamato, Motoi and Aoba show up. Kurotsuchi has planned something to capture Kabuto amd it seemed that it worked. But surprisingly, Kabuto only pretended to be captured to lower their guard down. 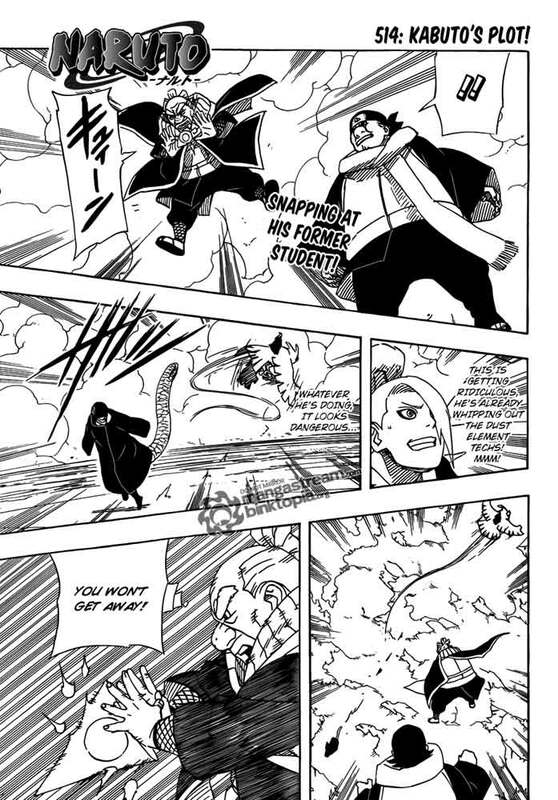 And Kabuto's plot surely work succesfully, he got Yamato and take him to Madara's place.